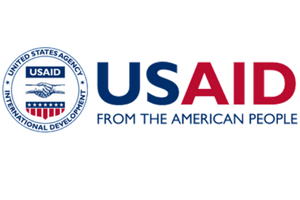 USAID and CENN has launched phase II of Waste Management Technologies in Regions Program (WMTR II). The first Stakeholders’ Consultative Group Meeting within the program took place in Tiflis Palace Hotel on 9 June 2017. Along with presentation of the outline of Phase II of the program at the meeting, the activities conducted and the results achieved during Phase I of the program were summarized. It was mentioned that all four focus areas of WMTR II that reflect the complex approach the program has towards waste management sector, specifically, the following key components of the program: Implementation of an Integrated Waste Management SystemPrivate Sector-Led Recycling Illegal Dumping Penalties and Tariff Policy Public Outreach It is critically important for the country to make sure that modernization of waste management sector takes place in order to provide sustainable development and inclusive economic growth using principles of responsible natural resources management, which will facilitate mitigation of adverse impact of waste on human health and environment. 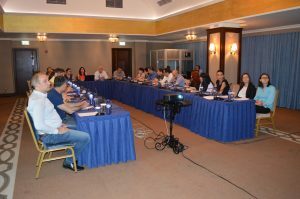 The meeting took place in an interactive regime with the most in-depth discussion held on waste management tariff policy, fee collection tools and establishment of the entire system of household waste management – separate collection, recycling, disposal – that will be significantly supported by implementation of the policy conducted by the Waste Management Company of Georgia related to introduction of a gate fee at the landfills. Capacity building of municipalities and self-governing bodies, which is one of the largest components of the program, is still an urgent issue. The program continues to support them in the development of municipal waste management plans by means of trainings and consultations in the new target region – Shida Kartli and implementation of the above-mentioned plans in the old regions – Kakheti and Adjara AR. The Stakeholders’ Consultative Group on the one hand welcomed the extension of the program in Shida Kartli Region and Tbilisi and, on the other hand, expressed regret that the program does not include all other regions where the above work is also important. The program will conduct the Stakeholders’ Consultative Group Meeting on a semi-annual basis, with representatives from all governmental agencies, NGOs and private sector as well as international organizations actively working in the waste management sector development in Georgia involved in the meeting. For detailed information, please contact us: Waste Management Technologies in Regions (WMTR II) 2, Orpiri St., Tbilisi, Georgia T.: +995 32 2 43 45 22/23. USAID and CENN has launched phase II of Waste Management Technologies in Regions Program (WMTR II). The Program will continue assisting the Government of Georgia (GoG) to modernize the country’s waste management sector and support sustainable development and inclusive economic growth, ensuring responsible management of natural endowments that will minimize adverse impacts from waste on human health and natural resources. WMTR II will continue working in Kakheti and Adjara AR regions and will upscale its efforts to selected municipalities in Shida Kartli and the City of Tbilisi. The program will assist the GoG to implement the requirements of the Waste Management Code and the National Waste Management Strategy and Action Plan to ensure that modern waste management standards are introduced into the country in line with the EU-Georgia Association Agreement. To this end, the program will mainstream innovative approaches, apply new technologies, and streamline strong partnerships, to achieve, sustain and extend set objectives and solve development challenges. 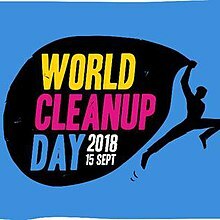 WMTR II is built on lessons learned and knowledge and experience accumulated over phase I of the program and focuses on the following main directions: • Implementation of an Integrated Waste Management System • Private Sector-Led Recycling • Illegal Dumping Penalties and Tariff Policy • Public Outreach. International City/County Management Association (ICMA) will be providing advisory support to the program. For detailed information, please contact us: Waste Management Technologies in Regions (WMTR II) 2, Orpiri St., Tbilisi, Georgia T.: +995 32 2 43 45 22/23.